This is the tenth chapter in the Little Black Book of Scams. Watch out for magical cures that offer quick and easy fixes. There are fraudsters out there who hope to take advantage of people’s suffering. The three most common types of health scams are miracle cures, weight loss programs and fake online pharmacies. In all cases, they often appear as sponsored posts on social media or website pop-ups. Scammers offer products and services that seem to be legitimate alternative medicines and treatments that quickly and easily treat serious conditions. Some of these may seem to be endorsed by celebrities or promoted by testimonials of people claiming to have been cured. 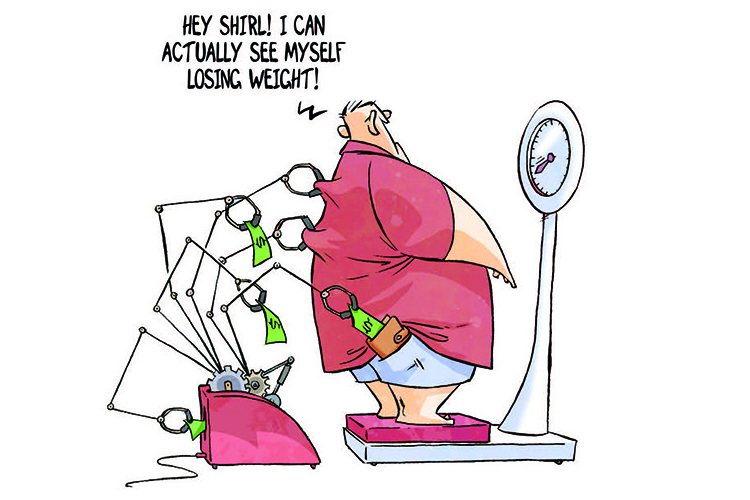 Weight loss scams promise dramatic results with little to no effort. The scammers might promote unusual diets, revolutionary exercises, fat-busting devices, or breakthrough products, such as pills, patches or creams. Fake online pharmacies offer drugs and medications at very cheap prices or without a doctor’s prescription. They advertise on the internet and send spam emails. If you do receive the promised products, there is no guarantee they are the real thing or safe to take. ✔ Remember that there are no magic pills or miracle cures for achieving quick weight loss or treating medical conditions. ✔ Don’t trust claims about medicines, supplements or other treatments. Get the facts straight from your healthcare professional. ✔ Never commit to anything under pressure, especially if a large advance payment or long-term contract is required. ✔ Know that if an online pharmacy is legitimate, it will require valid prescriptions. ✔ Be sceptical of celebrity endorsements or testimonials. ✔ Check with your doctor in the first instance. Despite claims to the contrary my patented weight loss technique does work. Try my ^likken raw chikken^ diet and lose 10 kilos in 24 hours! Thats right, you can actually eat yourself thin!